Arthur A. Levine Books, 9780590039109, 111pp. While researching his famous grandfather's work, John Bemelmans Marciano made a thrilling discovery--a complete manuscript and sketches of Madeline's only adventure in America. With help from his mother and grandmother (the original Madeline), this delightful work has been brought to colorful fruition. 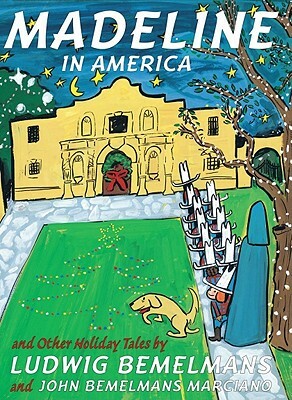 Two additional holiday stories also are included along with warm remembrances and artwork from family archives.